One last little task to complete… you just need to confirm your email address, so we know that you are “real deal” and not a hacker. You can do this by clicking on the link in the email we have just sent you. Please be sure to check your spam folder, if you can’t locate the email from us. Once you’ve completed the subscription process, you can go ahead and download! We have another offer for you, please see below. Huyen and the team have been invaluable in working with me to redesign my website. Her expertise and support was generously given, making the process flow smoothly and in a timely manner. I was very impressed by Huyen's knowledge of the "backend" SEO needs of the website required to enable it to perform as an information source and marketing tool to support my practice. I also applaud her patience in fitting in with my work schedule and procrastination! I would highly recommend Online Marketing For Doctors to anyone considering designing or redesigning their website. Huyen provided detailed, personalised thorough advice. Thank you! The Masterclass has been great and they provided us with a lot of helpful information! Should I be on YouTube? Should I set up a retargeting ad campaign? Should I be using email marketing? and if you don’t know where to focus your marketing efforts, you’ll waste your time, energy and money… and worse, you won’t achieve your sales and marketing goals. That’s why, if you want to be successful, you need an online marketing roadmap that works every time. Don’t consider doing any of these things…or changing what you are doing now… until you schedule a FREE “Grow Your Practice Profits” Masterclass. The session starts with a diagnostic review of your current marketing to identify marketing areas that need improvement and what else should be done to get your more patients. Discover a little known new patient sales funnel approach that will consistently deliver more patients. Once it is set up it will run on autopilot with no additional work on your part. Get a technical SEO review of your website showing you what can be done to make your practice more visible. 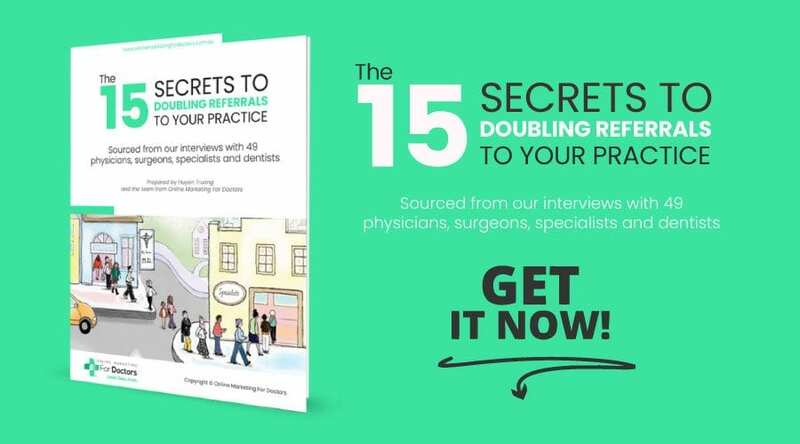 Just imagine doubling the number of patient inquiries and consistently getting more patients for your practice each and every month. You’ll feel confident that you’ve got an online marketing plan in place that gives you the highest return on your investment. Think about having more time to provide better patient care without worrying about marketing. Less stress, more patients and more practice profits. My name is Huyen – I am the Search Marketing Director from Online Marketing for Doctors. I’ve been helping practices like yours grow and can meet with you to show you how you can grow too. This offer is limited to 10 practice owners who are serious about taking their practice to the next level. I only have ten spots available as most of my time is mostly spent helping other medical practice clients with their online marketing. Over the last 12 months we have increased the web traffic by over 100% and also increased the conversion by over 100%. So far we are happy with the progress that we have made and there is one thing nice about Huyen is that every time she has the opportunity to go with more expensive version, she always recommends the cheaper version with the video of adding value to me as a client which is very assuring, a lot different from my experience has been in the past. Ever since we started, Online Marketing For Doctors has helped increase the traffic by 400% after 3 months working for us and we have been able to recoup the investment in the website and SEO service after we made a sales successfully with a hospital in Michigan, USA who’ve found us on Google.com. The organic website traffic has increased by 265.76% compared the same time before we started SEO services and Online Marketing for Doctors has contributed over 30% source of our new patients every year. We are ranking in the top results for all the targeted local and national keywords. Thanks for ongoing help and guidance.” They are very responsive to our requests, honest and reliable, easy to work with. We are happy with the results we have got so far and would like to recommend Online Marketing for Doctors to any companies or medical practices who want to get found and grow their business online. What Will The Right Plan Mean for YOUR Practice? More Traffic! The first step to creating an effective online marketing plan is to identify and prioritise the best traffic sources for YOUR unique business, so you start generating high-quality targeted traffic to your website, every month…. and I’ll show you exactly how to do that. Well, you could go read books on online marketing… And you can learn from years of effort and trial-and-error (like I have). Get my step-by-step guide that condenses down everything I’ve learned over the past 13 years from creating and managing hundreds of online marketing campaigns for similar clients like yours. This session with me is a shortcut. In fact, it’s the only thing standing between you and the potential to dramatically improve your online marketing, so you get more traffic and patients. Huyen Truong is a Search Marketing Strategist with a passion for SEO. She entered the online marketing world in the early 2000s when SEO was still in its infancy. Since then, she has managed hundreds of clients through their SEO, web development and online marketing projects. Her extensive practical experience working with businesses at different levels, and her solid knowledge and experience in marketing and business consulting, sets her apart from other technical SEO experts. www.business.com , au.smallbusiness.yahoo.com and www.itwire.com among others. 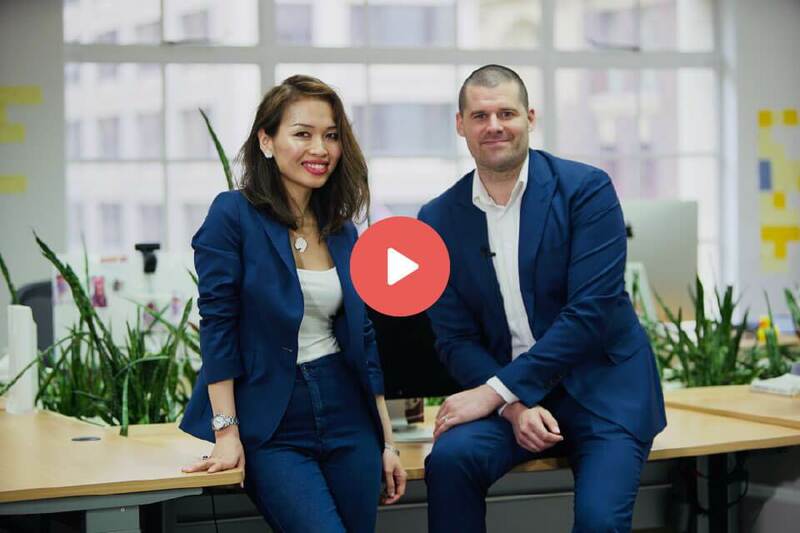 Huyen acquired her MBA at one of the top MBA programs in USA in 2010, Master of Marketing from University of Technology, Sydney and Web Design and Development Training from TAFE in 2012. 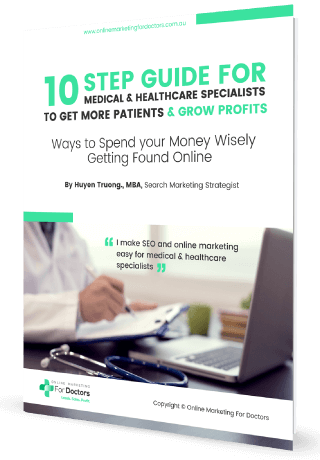 This e-book showcases the 10 steps that have delivered the most outstanding proven online marketing results for her medical and healthcare clients. 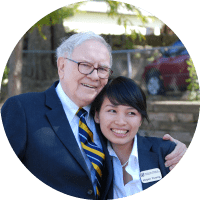 Huyen met with Warren Buffet – Billionaire, Legendary Investor when she was doing her MBA in the USA.